Heavy snowfall is expected in much of New England overnight into Christmas morning. The National Weather Service says up to eight inches of snow is forecast to fall in parts of New England overnight and Christmas morning. The Massachusetts Emergency Management Agency said Sunday that snow is predicted to spread over most of Massachusetts late Sunday and last into midday Monday, although there is uncertainty about the storm's track. There may be a mixture of rain, sleet and snow along the Interstate 95 corridor. Northern sections of Massachusetts could receive up to 8 inches of snow, with similar totals expected in parts of Vermont, New Hampshire and Maine. 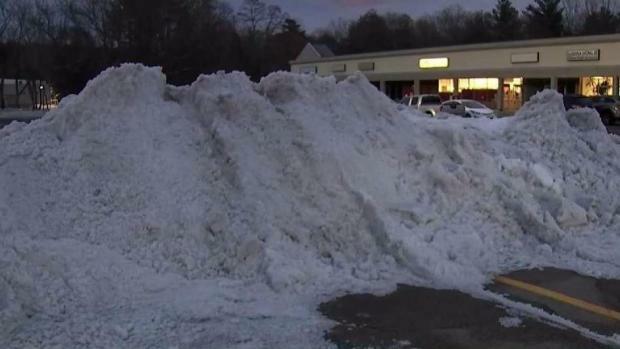 MEMA and MassDOT warned driving may be hazardous in the Bay State. Highway Administrator Jonathan Gulliver advised motorists to minimize or delay travel. "The weather forecast is calling for snow to begin on Sunday evening, meaning that people who are planning on driving during the overnight or morning hours should monitor conditions and make smart decisions before heading out onto the roadways," he said. With snow expected to fall overnight into Christmas morning, crews across New England are getting ready. A winter storm warning will remain in effect through Monday afternoon across northern New England, upstate New York and parts of north-central Massachusetts. Heavy winds are also forecast for much of New England, including further south, in Connecticut and Rhode Island. Gulliver urged travelers to reduce speed and give plenty of room to other motorists and snow and ice equipment. MassDOT crews were preparing in advance for the storm, including pretreating roads with brine.